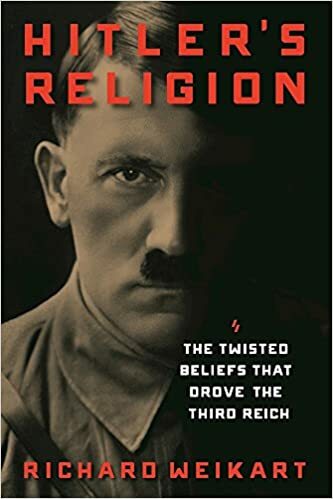 The following article on the Nuremberg Laws is an excerpt from Richard Weikart’s book Hitler’s Religion: The Twisted Beliefs that Drove the Third Reich. It is available to order now at Amazon and Barnes & Noble. 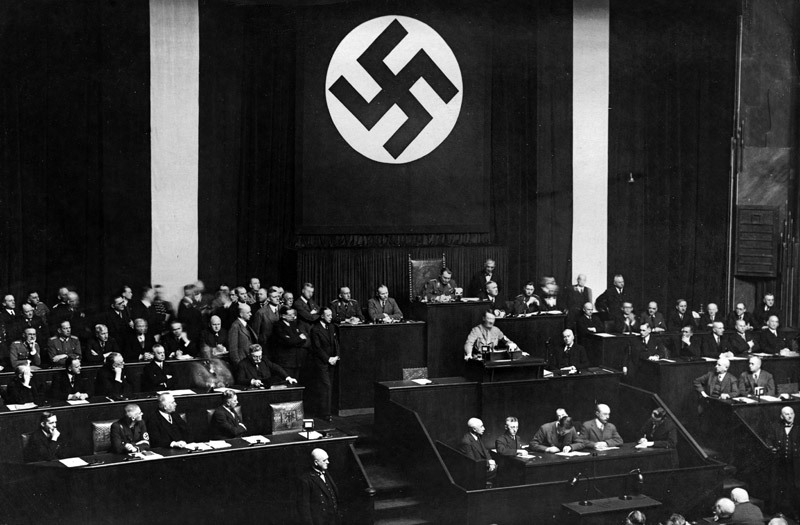 The Nuremberg Laws were a major step forward in the ratcheting anti-Semitism of Hitler’s regime. After he came to power in 1933, he and his regime endeavored to implement anti-Semitic policies against the Jews as a race, not as a religion. Ironically, when Hitler and his cabinet passed discriminatory legislation against the Jews, they used synagogue records to determine who was a Jew. The reason was simple. The Nazis could not find a biological marker to distinguish Jews from non-Jews. During the Nazi regime, some scientists performed serological studies and other experiments to see if they could find a way to identify Jews scientifically, but these all failed. Some German anthropologists claimed they could identify Jews by skull measurements and facial features, but these were often subjective and inconclusive. When perusing synagogue records to determine the identity and fate of an individual, however, Nazi officials did not consider the individual’s actual membership in the synagogue (a clear religious statement). They looked at his or her grandparents, trying to establish Jewish racial ancestry. 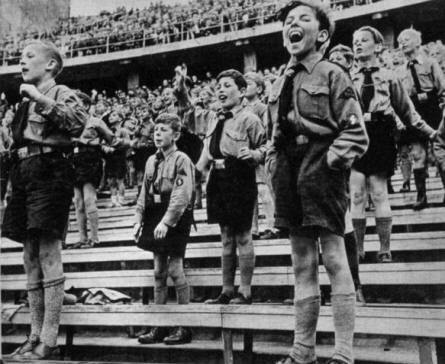 Nazi officials identified as Jews individuals who were Catholics, Protestants, agnostics, or atheists, because they did not care what religion these individuals currently embraced. Jews were determined entirely by their genealogy, not by their religion. 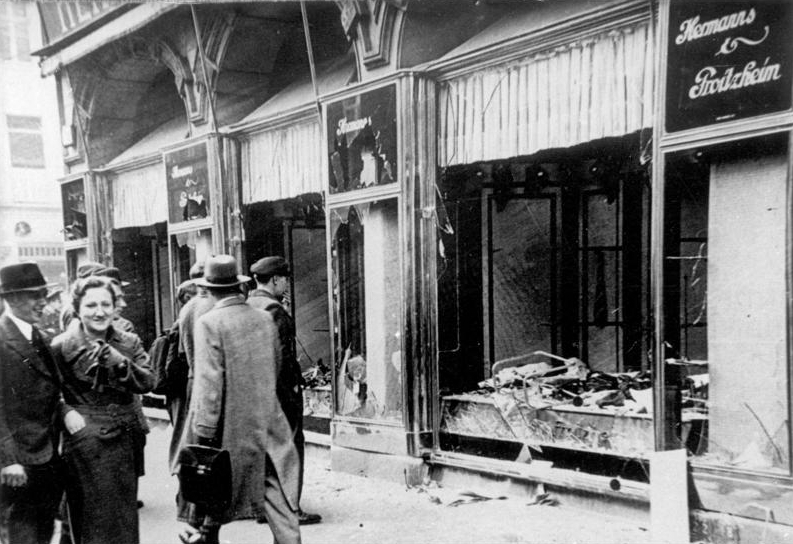 They were targeted for discrimination (and later extermination) based on their grandparents’ religious affiliation. 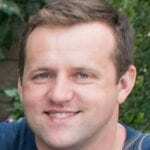 Why did the Nazis determine Jewish status based on grandparents? In one sense, this could have been a matter of practicality, but also Hitler and other Nazis believed that biological science provided a rationale for not going too far back genealogically. 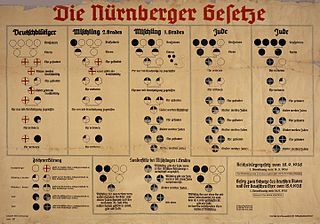 When Nazi officials were debating the way to frame the Nuremberg Laws, some argued that individuals having only one Jewish grandparent could be reabsorbed back into the German Volk, as long as they did not intermarry with Jews. This position won the day and was reflected in the Nuremberg Laws. Hitler reflected this perspective, too, in a monologue in December 1941, when he stated that while those with some recent Jewish heredity often associate with Jews, by the seventh, eighth, or ninth generation, nature takes care of this problem by eliminating the deleterious hereditary traits. He explained that the Mendelian laws of heredity ensured that the Jewish traits would no longer be present by then in the vast majority of cases. One of the most important commandments in Hitler’s sexual morality—and a centerpiece of the Nuremberg Laws’ second piece of legislation( Law for the Protection of German Blood and German Honor), or simply Blutschutzgesetz—was thou shalt not mix your blood with other races. While the Catholic Church forbade intermarriage between Catholics and non-Catholics, Hitler forbade intermarriage and sexual relations between Germans and Jews, regardless of their religious convictions. For Hitler, it was a sin—punishable by law after the Nuremberg Laws were promulgated in 1935—for a Catholic of Aryan descent to marry a Catholic with Jewish grandparents. Hitler also forbade intermarriage of Germans with Slavs but encouraged German intermarriage with the Norwegians or Dutch, because they were deemed fellow Nordic peoples. The Nuremberg Laws were part of the long road toward the Holocaust in the Nazi regime’s attempts to purge its nation of non-Aryan peoples.